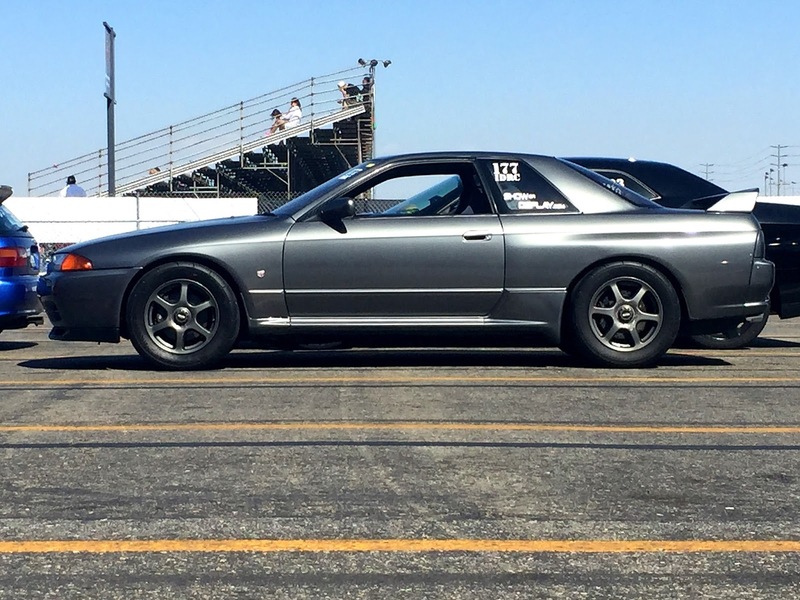 Most of our Nissan Skylines are at least 25 years old. At that age, things wear out, or will eventually wear out. On our NISMO #500, we decided to get preemptive and ordered a NISMO fuel pump to replace the OEM fuel pump. We see it as cheap insurance. The NISMO pumps are great pumps, drop in, and have low failure rates. Stock R32 is rated at 195 L/hr . Nismo replacement is rated at 276 l/hr. More fuel pump info - Stealth 316. The single NISMO pump, at OEM voltages is good to about 500 wheel horsepower and 75 psi. Above that you need to start thinking about some complex fuel systems. Since fuel vapors are flammable (well duh) always do this in a well ventilated area, keep smoking to a minimum. Some people pull the fuel pump fuse, or disconnect the pump connector to clear the lines of fuel. We aren't afraid of fuel. NISMO fuel pump in place. OEM pump removed. Notice cradle/sump that an R32 pump sits in. Top of tank reinstalled. Make sure the fuel sender float doesn't get tangled in the tank lines. Make sure you don't pinch the o-ring. Make sure you don't pinch the o-ring. Top reinstalled. Good for another 25 years?